Selkirk is set to become a blackspot for traffic jams over the next few weeks as roadworks come thick and fast. The biggest set of works will be the resurfacing of the A7 Edinburgh-Carlisle road at Ettrick Terrace from Monday, November 13, to Friday, November 24, by trunk road operator Amey. The A7 will be closed at Tower Street too from the Monday after, November 20, also to November 24, for a flurry of co-ordinated works by Scottish Borders Council, Scottish Gas Networks and Scottish Power. They have been scheduled to take place at the same time as Amey’s resurfacing works in an effort to confine disruption for drivers and traders to a shorter period of time, rather than having one set of roadworks end only for others to follow, potentially prolonging motorists’ misery for weeks. In Ettrick Terrace, a convoy system will operate from November 13 to Friday, November 17, from 9am to 4pm. It will reopen on Saturday and Sunday, November 18 and 19, but will then be shut fully the following week, from November 20 to 24 between 9am and 4pm daily to allow the resurfacing works to be completed. That second week of roadworks in Ettrick Terrace will coincide with further works in nearby Tower Street. It will be closed round the clock from its junction with High Street to its junction with Back Row from November 20 to 24. Tower Street’s five-day closure will be closed 24 hours each day to allow the council to carry out work as part of the £450,000 Selkirk streetscape project, Scottish Gas Networks to replace a gas main and Scottish Power to carry out maintenance on its network, all at the same time. The pedestrian crossing in High Street will be switched off but an additional crossing will be provided alongside temporary traffic lights. There will also be manual control of the temporary traffic lights between 7am and 7pm daily to try to help traffic flow as freely as possible and keep pedestrians safe. From November 20 to 24, all northbound traffic will be diverted via the A699, A68 and A6091 to rejoin the A7 at the Kingsknowes roundabout, with southbound traffic being diverted in reverse by Kingsknowes Roundabout via the A6091, A68 and A699 to rejoin the A7. From November 20 to 24, the X95 northbound bus service will be diverted via Back Row, Scott’s Place, Bleachfield Road, Raeburn Lane, Shawburn Road and Raeburn Place to rejoin the A7 at the Toll, with the X95 southbound service following the same diversion in reverse. Buses to and from Bannerfield will be unaffected. Electronic signs will be put in place prior to the works to warn motorists, and letters will be sent to residents and businesses to warn them of the disruption ahead. Amey is also carrying out patching works on the A7 at Hillside Terrace from Wednesday, November 8, to Friday, November 10, and it will be shut between 9am and 4pm on all three of those days. Motorists will be diverted via the A699, A68 and A6091 to rejoin the A7 at Kingsknowes roundabout, and buses will go via the Loan and Back Row. Those works follow the closure of Kirk Wynd on Monday, October 23, for six weeks for streetscape works. It is due to reopen on Friday, December 1. 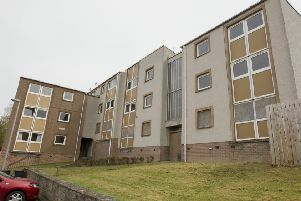 Further disruption will follow, at a date yet to be confirmed, at the junction of High Street and Chapel Street while the old Selkirk Co-op store is demolished to make way for 10 flats. That work is expected to take nine months to complete, and temporary traffic lights will be in operation during that time. Traders in the town are fearful of their takings being hit by that disruption, as has been the case during previous rounds of roadworks, so Selkirkshire’s three regional councillors are urging shoppers to support them during the no-doubt testing times ahead. In a joint statement, Michelle Ballantyne, Gordon Edgar and Elaine Thornton-Nicol say: “Selkirk remains open for business during these works, and we would encourage local people to continue to support our local shops. “In the short term, there is no doubt there will be significant disruption to the town. “However, the alternative to this co-ordinated approach was a series of closures which would have caused greater issues. “We would also ask drivers to please follow the diversion signs and be patient during the works. “In the longer term, the town will be provided with better services by these various works. Tom Wallace, account manager for Amey’s Scottish south-east trunk roads unit, added: “Scottish Borders Council and Amey have worked closely to reduce the impact of a number of essential road maintenance schemes around Selkirk. “We apologise for any inconvenience caused, but we hope that this approach will reduce the period of disruption overall. “These works will result in improvements to the road surfaces, and reduce the need for further more extensive maintenance in the future.